When Joany McDougall arrived in the Democratic Republic of the Congo (DRC) to staff our Ebola treatment center, one of her tasks was to wrap baby cribs in Samaritan’s Purse’s distinctive blue tarp, then apply plastic tape to ensure the tarp stays in place. Why? So the cribs can be easily disinfected before and after they house infant patients. Ebola is such a contagious and deadly disease—with a fatality rate of 50- to 90-percent—that it’s natural to wonder whether a baby in one of those cribs will survive. And so as she wrapped and taped them, Joany prayed—and wrote “Jesus Loves You” on the side of each crib. Joany remembers quietly singing “Jesus Loves You” over and over in northern Iraq in 2017, while a baby badly injured by ISIS terrorists died in her arms. 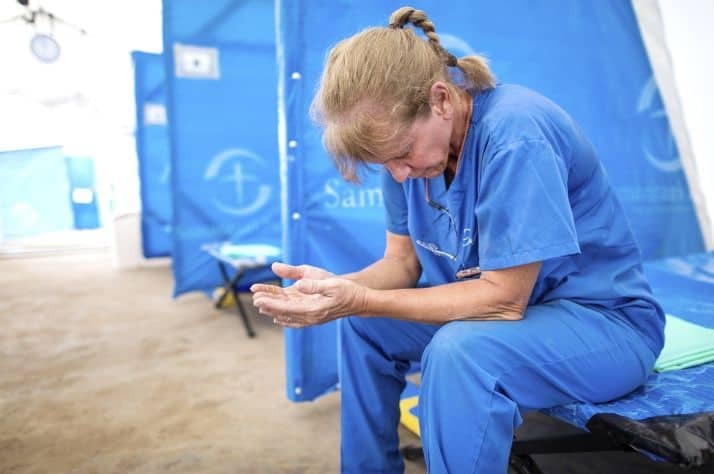 She was at Samaritan’s Purse’s Emergency Field Hospital treating people hurt in the fighting between ISIS and Iraqi soldiers. The veteran Intensive Care Unit nurse from western Canada has also served with Samaritan’s Purse at emergency clinics we established in Haiti in 2010 during the impoverished island nation’s cholera epidemic. Why do Joany and others like her serve with us in these places where, despite all the precautions Samaritan’s Purse is able to take, there are still some major on-the-job dangers? 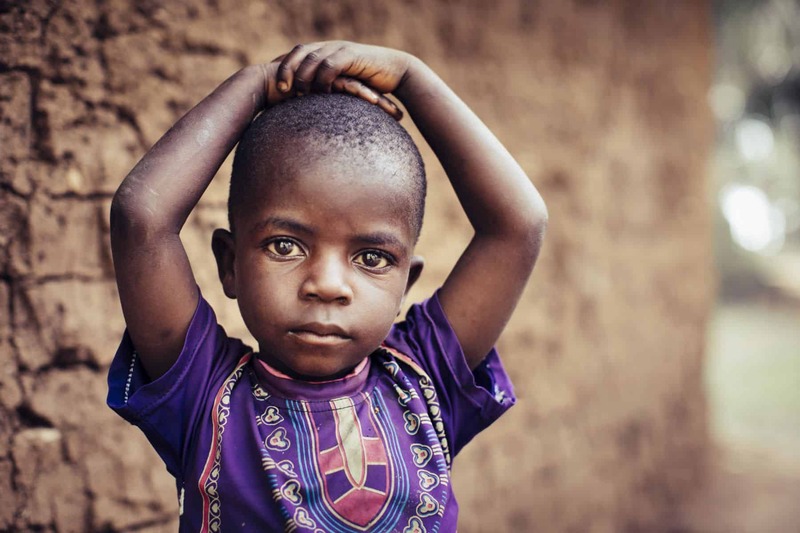 The outbreak in the Congo that began last August has grown steadily. Samaritan’s Purse, which has been working in the Congo for eight years, has more than 40 employees fighting Ebola. We are also leading a public education program enabling Congolese people to identify Ebola symptoms and avoid physical contact. Samaritan’s Purse provided similar treatment and public education services in Liberia in 2014-2015 during the world’s worst Ebola outbreak when more than 11,000 people died. In the first days that our treatment center opened in the DRC, a four-year-old boy was admitted with Ebola-like symptoms. Although tests ultimately showed the child did not have Ebola, he still died. Please join with us in the fight against Ebola, and as we respond to other international crises, through your financial gifts and your prayers. © Copyright 2017 Samaritan's Purse Canada. All rights reserved.